Exceptional, personalized service in a welcoming atmosphere. Friendly, approachable staff ready to make your stay special in every way. Step inside and discover stylish, design-centric spaces with an emphasis on art. Contemporary yet comfortable and warm, 19 guestrooms and suites at our boutique hotel offer modern amenities to create an ideal retreat for business and leisure travelers. 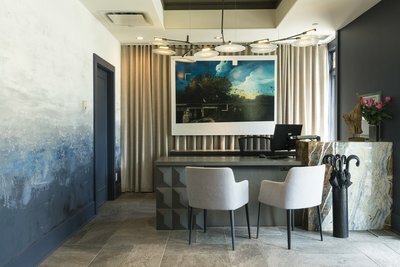 Our prime location overlooking the Bow River with downtown skyline views places the iconic Peace Bridge, Prince’s Island Park and the downtown business Calgary district just moments from your door. Spacious and inviting, all 300-384 sq. ft. Luxury Rooms offer a queen- or king-sized bed with luxurious bedding, contemporary furnishings, clean and stylish décor, a 42 inch flat screen TV, French doors and windows that open. More spacious than Luxury Rooms, 384 sq. ft. Executive Rooms are an excellent choice for a slightly longer stay. 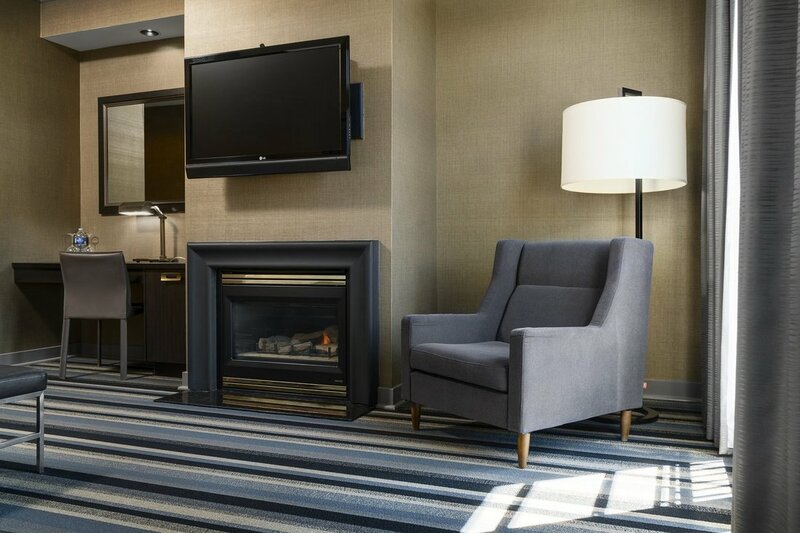 In addition to standard amenities, these contemporary, stylish rooms feature a fireplace with comfortable seating. 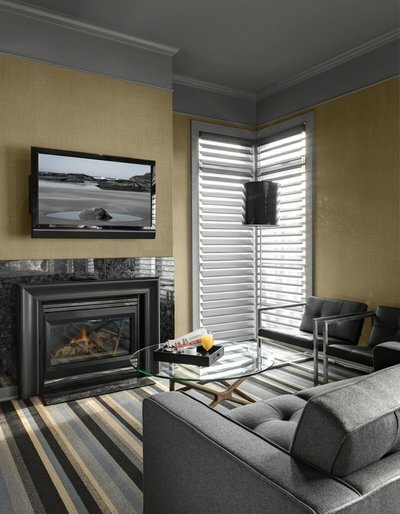 With south-facing floor-to-ceiling windows, Junior Suites deliver views of the Bow River and Downtown Calgary skylines. Offering 428 sq. ft. of space, these rooms provide plenty of space to spread out and relax. Our largest room type, the 566 sq. ft. Luxury Suites each contain a fireplace and private balcony with view of the Bow River pathway and Downtown Calgary skyline. 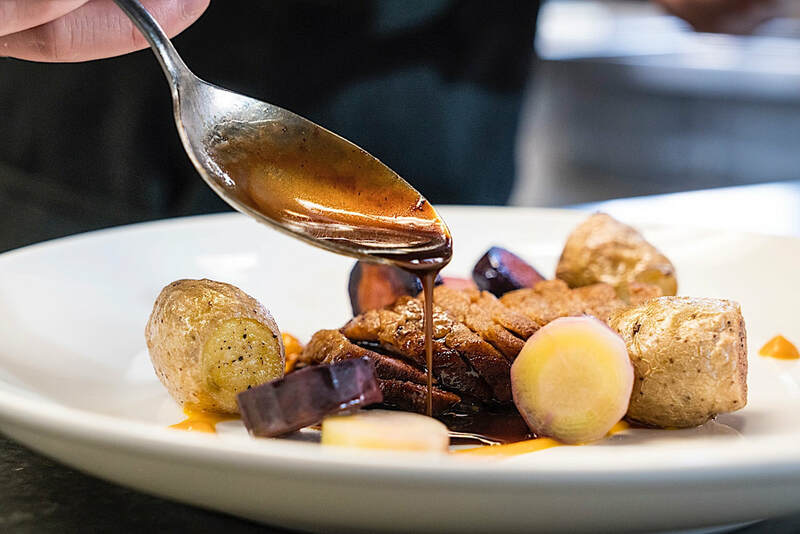 Meander through the course of your day and anchor here, at Calgary’s top new restaurant. Whether it’s snacks to savour as you sip in the comfort of our vibrant lobby lounge, an intimate meal to share amongst family in our dining room… or something uniquely in between. We bend to suit your tempo. 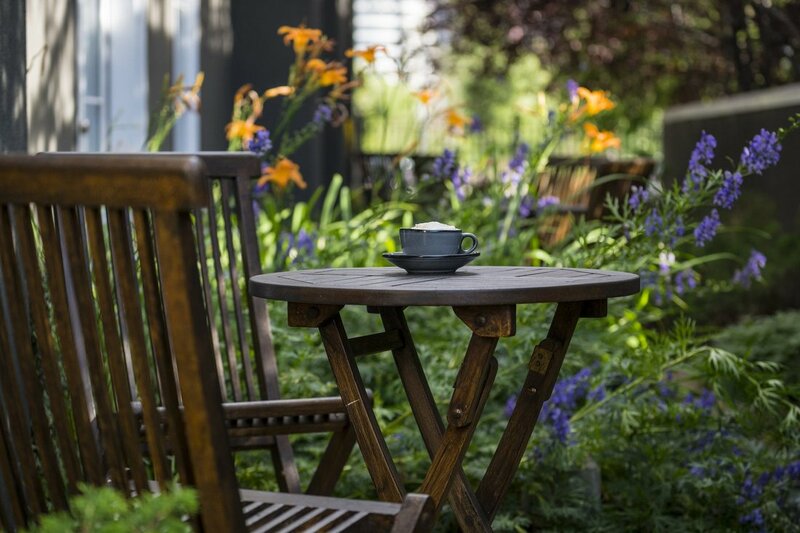 The setting is stylish, contemporary and comfortable – and the food divine. 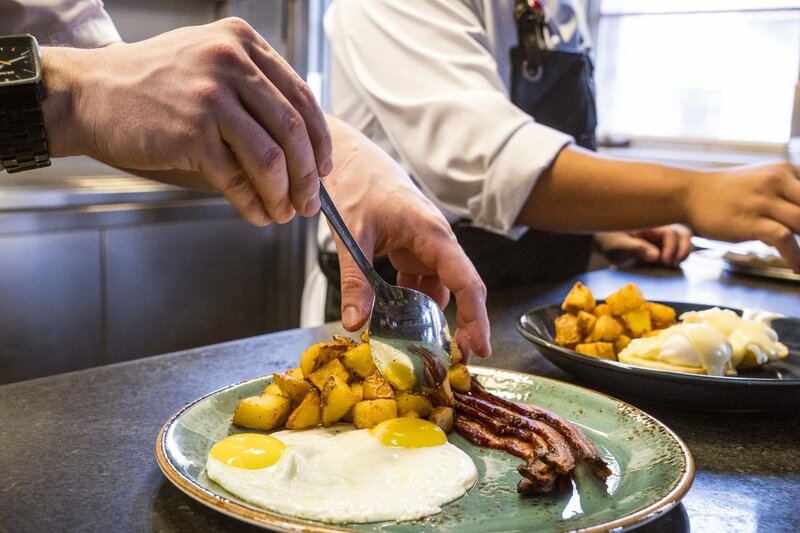 Our delicious onsite restaurant features a fabulous à la carte breakfast selection, along with brunch, lunch and dinner, as well as seasonal outdoor patio service. 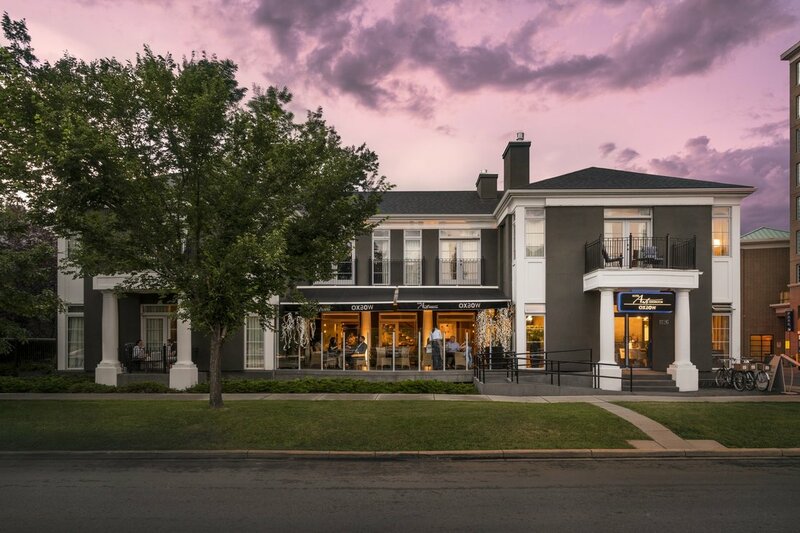 Indulge in the art of good food at Oxbow. You don't have to go far to experience the brand new, stylish lounge or comfortable dining room located onsite. 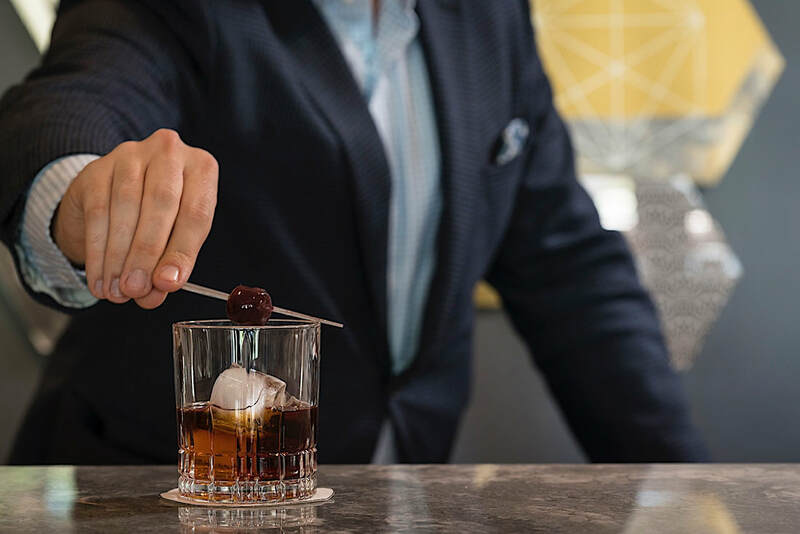 Toast the night with a glass of bubbly and a special chocolate creation upon arrival followed by an overnight stay in one of our luxury rooms or suites. Pamper yourself with a relaxing package, perfect for washing away travel stress or for a simple escape from busy city life.